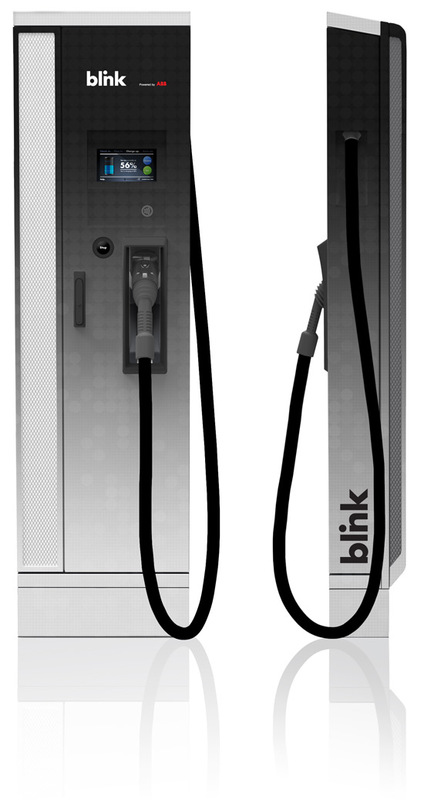 Our customer ECOtality asked us to create a custom wrap for their new Blink VQ product, also known as the ABB Terra SC electric vehicle charger. 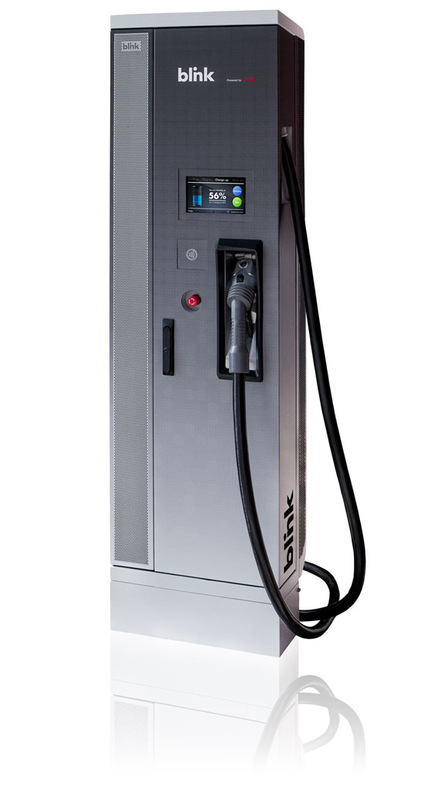 This EV charger is a 20kW cost-effective charger for commercial and office locations. We took measurements of the chargers surface area and created a custom design for the charger that was printed on wrap material and installed on the charger. The custom design includes a gradient effect created by a small circle pattern. Then, we worked with ECOtality to create custom product “hero shots” of the product on a transparent background with product reflections. We also superimposed the new Blink VQ into existing photographs, added graphics to the touch screen displays, and optimized the images for marketing usage. We created these Photoshop graphics and placed the new product in them and cleaned up the rest of the images. Parking lot scene (first picture is our improved image, the second is the original photo). Supermarket scene (first picture is our improved image, the second is the original photo). We created a design concept (below left) showing how the charger would appear, and created the angled hero shot below from a photo of the finished charger installation. Photos showing the installation of the charger wrap in Phoenix, AZ.